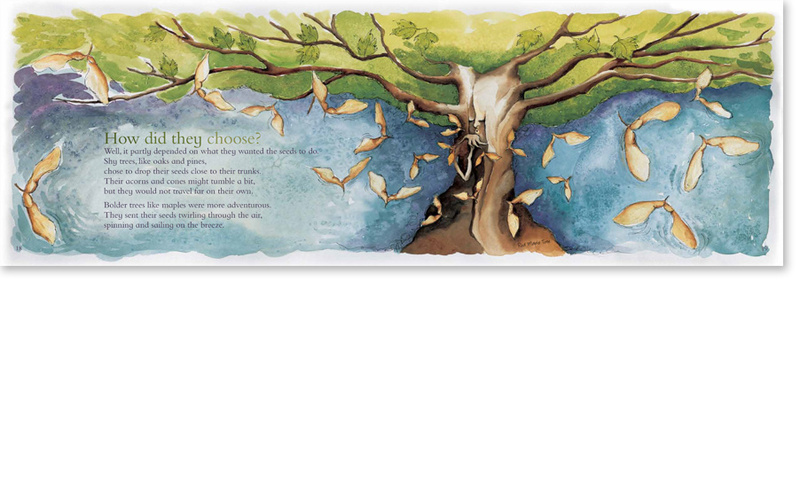 Once Upon a Time in the Woods is a children's book that is part of SAE International's A World In Motion program, teaching engineering principles to primary-age children through a story. Readers learn how seeds are dispersed in nature, how wind propels them, how wind speed and seed weight affect the distance they travel. Illustrations are done in watercolor on air dried cotton paper.